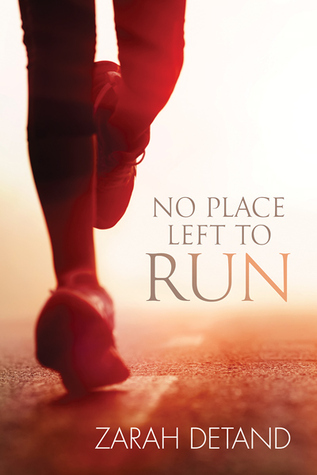 No Place Left To Run has the characteristics of being a perfect read for me. So many of us love the friends-to-lovers/enemies-to-lovers trope and this story follows along those paths – yet the MCs aren’t friends and they’re not enemies either. They’re meant to be just neighbours, who then become friends and then following the romance ARC, becomes lovers who ultimately live happily ever after. Remember when Whitney (bless her soul) Houston and Kevin Costner were in The Bodyguard? Well, that’s kinda what happens here between our MCs – except Samuel (the client) doesn’t know that his new friend/neighbour has been hired to provide security. Anyway, I found both the storyline and writing to be generally good, but here’s the thing: At the beginning of this year, I read Zarah’s debut novel Pull Me Under and I think it’s safe to say that my experience with this book is ultimately the same. I loved the characterization, felt wooed by some of the prose and still felt frustrated by the lack of editing. Why, oh why must it be this way?! Starting off, the introduction to the pair’s relationship was sweet and well paced, thus giving the reader the experience of that cautious, awkwardness felt when two people start to date. Aside from that, my focus was often interrupted by the YA language/attitude. For example: “I said, no. Because, no. Just, no.” and alike. That may not bother other people. Lots of people love to read N/A and Y/A. Me? Not so much, so the fault lays with my personal tastes. And then there were moments of crackling tension, exploding drama and ooey gooey sweetness. Those moments were executed with skill and left me frustrated because I’d see so much greatness peeking out from behind the things that I didn’t want; things like repetition, some questionable plot holes and some editing faux pas. So, what am I left with in the end? I guess a book that will appeal to many and that may frustrate some. This entry was posted on April 1, 2015 by Sue in Contemporary, Musicians, Reviewer: Sue and tagged 3.5 Stars, Dreamspinner Press, Sarah Detand.